For someone who wants to start trading to make some profit on their hard earned savings, choosing the right Forex broker is the first step to take. Not to mention, there are so many brokers available online today that picking one can be quite a task. However, not every broker is the same – some are better than others. Alpari stands with some of the best and most renowned Forex brokers around the world. Let’s delve into this detailed Alpari review to help you decide why this broker should be one of your options. 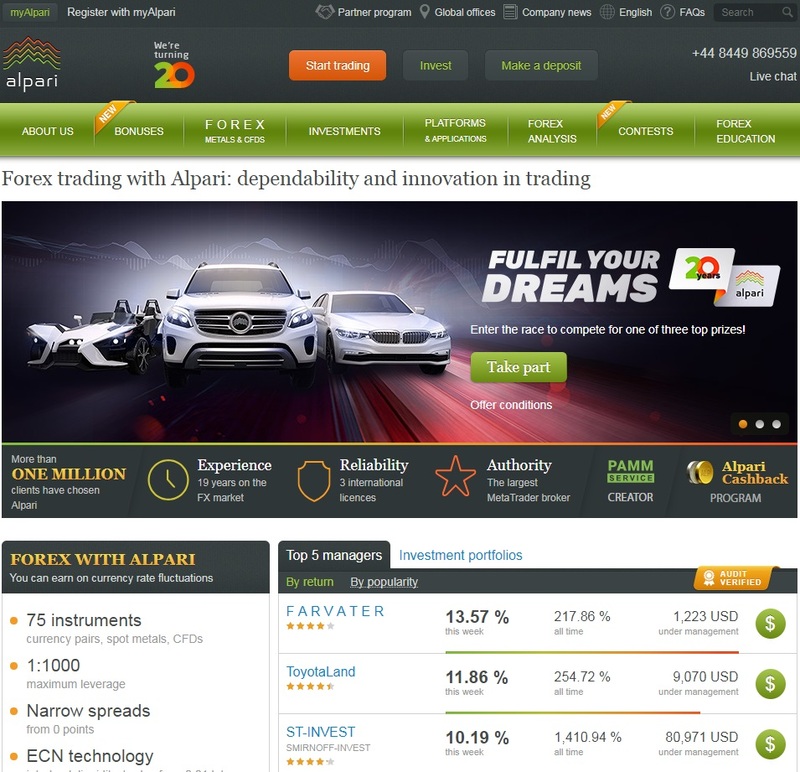 Alpari is one of the oldest online Forex brokers in the industry today with its foundation taking place in 1998. Since then, the company has been on the rise. The company did not start out as an online operation, but made the switch pretty quickly in 2000. The broker started out small offering only 11 currency pairs when it went online for the first time. However, the expansion has been real for Alpari since then. Alpari had always looked ahead in the future taking up technologies that helped it become what it is today. The broker not only provides a secure platform for trading but also has an expansive collection of training material for new traders. Just like many other brokers, Alpari offers you a lot of financial instruments that you can use for your trades. You can pick one that suits your trading style. One of Alpari’s uniqueness is that it offers an amazing cash back program. Just about any activity on your account can help you earn reward points. These reward points are called Alps. You can use the alps to get different types of benefits on your account or convert them into cash to have more funds available in your account for trading. Furthermore, they offer leverages of up to 1:1000 on certain trades. In addition to indices, commodities, currency pairs, and spot metals, you can also trade in cryptocurrencies. For certain payment methods, the broker is willing to offer deposits without any commissions. A good example is China Union Pay. Any traders who make deposits using this option can do so without having to pay anything as commission. Alpari also runs various contests to allow its traders to win exotic cars and other expensive prizes. One of the biggest benefits of trading with Alpari is the narrow spreads. One of the issues with many online brokers is their spreads. Large spreads mean that your profits shrink quite significantly because when you buy a currency, it costs you more, and when you sell the same currency, you get a smaller value for each unit. In certain trades, you can even enjoy 0 point spreads from Alpari. You will love the fact that Alpari gives you the accesss to MetaTrader 4 and MetaTrader 5. In most cases, you would want to use MetaTrader 4 if you are a new trader. If you are an expert, you can use the MetaTrader 5 platform. The best thing is that you have the option to trade using the web-based interface or by downloading a smartphone application. So, on your phone, you can trade on the go. As for your desktop, you don’t have to download anything to start trading. You have 75 different financial instruments to choose from. 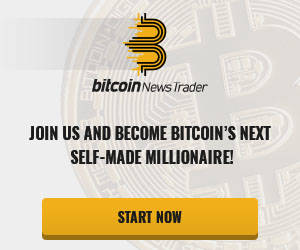 If you like to invest in cryptocurrencies, you can trade Bitcoin and USD pairs to earn profits. Of course, if you are a new trader and you want some insight into Forex trading before you step into the real world, Alpari has the right training material available too. They have some video instructions as well as tips and tricks to help you get started with Forex trading. The best thing about their training is that they train you on the various trading platforms as well. Alpari has lots of deposit and withdrawal options available for its traders. You can use wire transfer option if that seems safe to you. Visa and MasterCard options are also available but there is a 2.5% commission on the deposits. You will have to pay a commission for almost all the different electronic payment methods as well. Some of the electronic payment methods you can use on Alpari include WebMoney, Neteller, Skrill, FasaPay, Bitcoin, and Online Banking. The good thing is that you can use the same methods to withdraw funds from your accounts as well. For those who want to deposit the money instantly, e-payment options are the best. Wire transfers take the long time of all. However, when it comes to withdrawals, you have to give at least one business day processing time even for the fastest e-payment methods. To provide instant support to its traders, Alpari has live chat feature available on its website. In addition to that, they have some other amazing ways for the traders to contact them. You can call them from Monday to Friday on their phone at any time (24 hours). They have Skype, Vyber, and email options available as well. 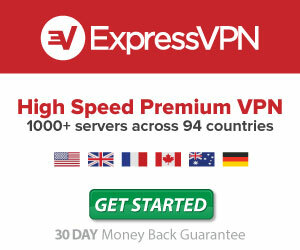 They have a dedicated line and email address for technical support as well. In addition to that, they have an email address and a separate line for any payment related inquiries. That’s the sign of a trustable and customer-caring broker. Alpari might not have the biggest list of trading instruments available for its traders, but it surely has the most popular ones. The inclusion of Bitcoin as an instrument is a great step from Alpari. Their customer support definitely takes the cake and ensures peace of mind for traders. If there is one area they can improve in, it is their deposit options. If they could find a way to compensate the commission for their traders, they could attract a lot more traders to their platform than they have today.